Hi! My name is Analia Capurro. "Teaching English to Kinders- Foundations" is the first of a new serie written for Kindergarten and Pre-school teachers. 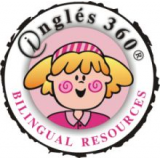 You will find the foundations to teach English as a foreign language to your little children. hard to obtain elsewhere. Thank you Ana!"